​ Lacrosse is a team sport of Native American origin played using a small solid rubber ball and a long-handled stick called a crosse or lacrosse stick, mainly played on the East Coast of the United States and Canada. The head of the lacrosse stick is strung with loose mesh designed to catch and hold the lacrosse ball. Offensively, the objective of the game is to score by shooting the ball into an opponent's goal, using the lacrosse stick to catch, carry, and pass the ball to do so. Defensively, the objective is to keep the opposing team from scoring and to dispossess them of the ball through the use of stick checking and body contact or positioning. Our goal is to allow as many children as possible to try this growing sport. We also would encourage players to try and continue to play other spring sports as their schedule will allow. 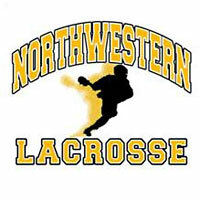 For NYAA Lacrosse news and updates, including information on upcoming clinics, click here. 2018 Spring registration closes on January 15, 2018.